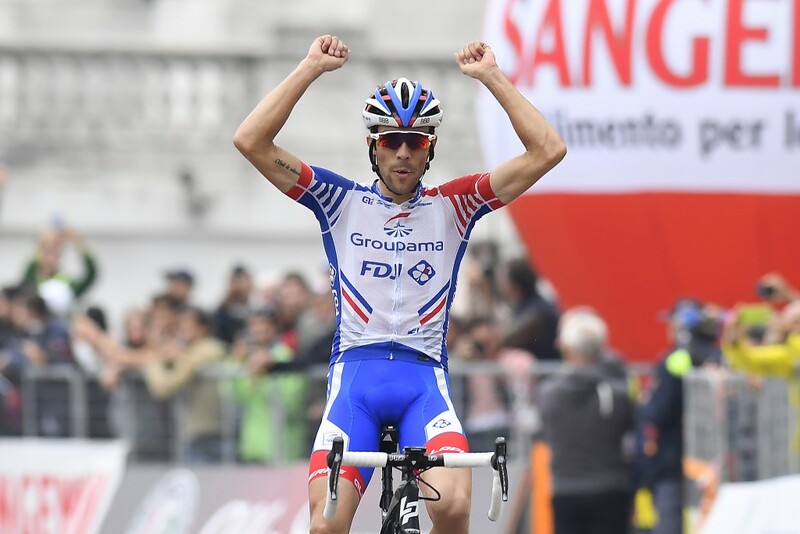 Four and half months after pneumonia ruined his chances of finishing on the Giro d’Italia podium, France’s Thibaut Pinot of Groupama-FDJ claimed the first Italian classic of his career. He rode away 1.2km before the finish at Superga after his team-mate David Gaudu crashed along with Miguel Angel “Superman” Lopez who won Milano-Torino two years ago. Newly crowned World Champion Alejandro Valverde rounded out the podium. Download the order of arrival.